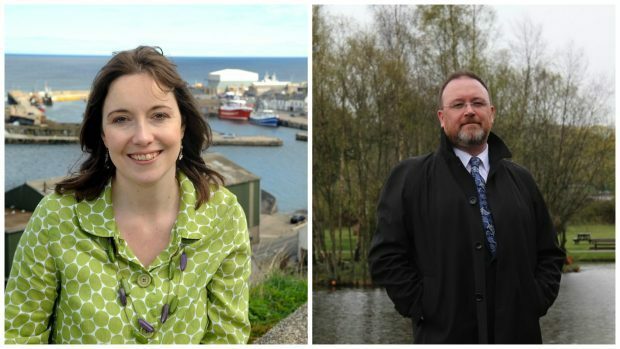 Banff and Buchan MP Eilidh Whiteford will face an oil and gas consultant she has known since her school days in the fight to keep her seat at the general election, The Press and Journal can reveal. The Tories have selected David Duguid, who attended Banff Academy at the same time as his SNP rival, to contest the north-east constituency on June 8. The pair have known each other for more than 30 years, but Ms Whiteford said she was “very up for” the campaign. She congratulated him, but told the Press and Journal: “He’s going to have a hard job defending some of the things the Tories have done over the last few years, particularly to families with children. Mr Duguid, 46, who lives in Turriff and runs a management consultancy business, said they had previously “always been respectful of each other’s views”. But he added: “This area needs a strong Conservative voice to stand up for the interests of this area – not an SNP politician that too often just toes the party line. Ms Whiteford, who has been the MP since 2010, won in 2015 with a majority of more than 14,000 and 60.2% of the vote share. But Brexit is expected to be a key issue on the campaign trail. Research conducted by East Anglia University politics lecturer Chris Hanretty last year suggested a majority of people in the area – when considered as the UK Parliament constituency – voted to Leave the EU on June 23, despite the overwhelming backing for Remain across Scotland. Asked how she would tackle the issue given the SNP’s position, Ms Whiteford stressed the importance to the north-east economy of staying in the single market and customs union, particularly in terms of the agricultural sector and fish exports to the EU as well as other countries reached via EU trade deals. Mr Duguid, who studied chemistry at Aberdeen University and has 25 years experience in the oil and gas industry, pledged to work to secure the best deal for the UK if elected.